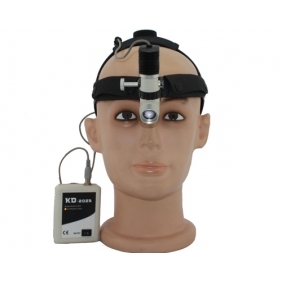 The KD202A-6 is 5W LED headlight. the light spot size ia adjustble, the light angle is adjustable. These light and loupes are very good quality, especially for the price. I usually work with loupes of 2.5 magnification but I wanted to try an inexpensive pair of 3.5 magnification loupes for the few times that I might need more magnification. I found these to be made just as well as other loupes that I have that cost me substantially more money (this loupes quality and packing is better than my old one), plus this came with a very good light that I am able to use with my other loupes. It would have been worth the expensive for the light alone. I recommend the product. Tell us what you think about Headband LED headlight KD202A-6, share your opinion with other people. 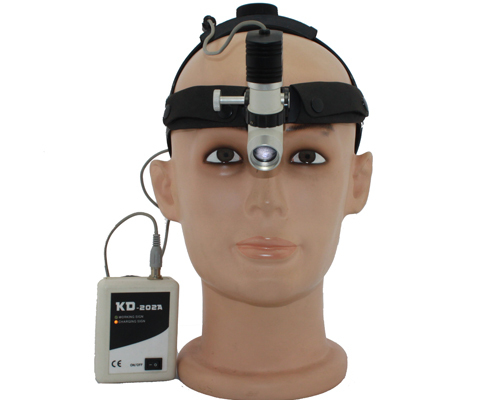 Please make sure that your review focus on Headband LED headlight KD202A-6. All the reviews are moderated and will be reviewed within two business days. Inappropriate reviews will not be posted.